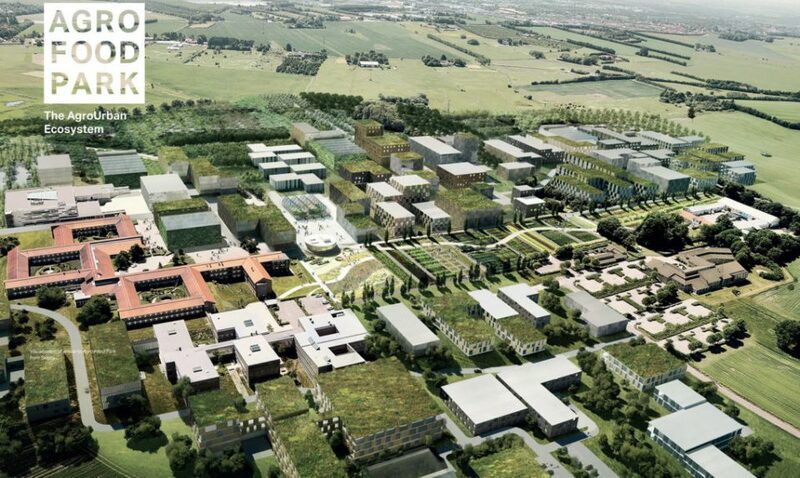 An expansive master-planned complex to facilitate urban agriculture and private/public collaboration, The Agro Food Park is Denmark’s version of “Silicon Valley” for food research and development. 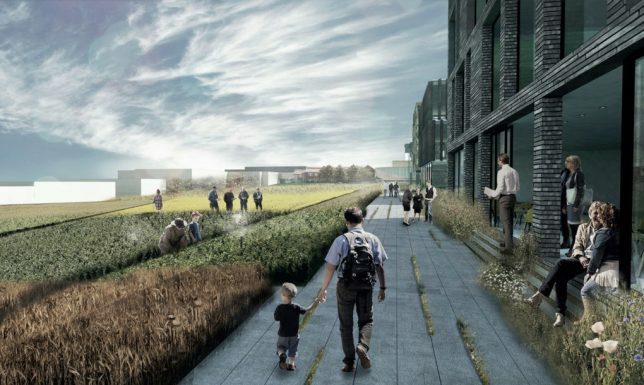 From experimental greenhouses to vertical farm prototypes, the park is bringing together academics and businesses to work on creating a sustainable future via global food security. Co-designed by an array of architecture, engineering, technology and agriculture firms, the food park was first opened in 2009 and already hosts nearly 100 companies in 44,000 square meters of space. The newly-expanded plan, however, will grow the park by 280,000 square meters over the coming decades, requiring careful strategic planning reflecting environmental considerations. 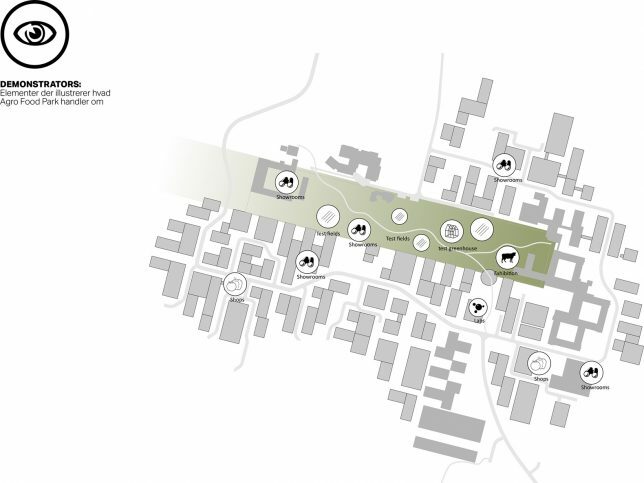 The long-term master plan features a communal Lawn showcasing experimental developments, a main-street Strip hosting various gathers and activities, and a series of Plazas to facilitate interactions between companies and researchers. 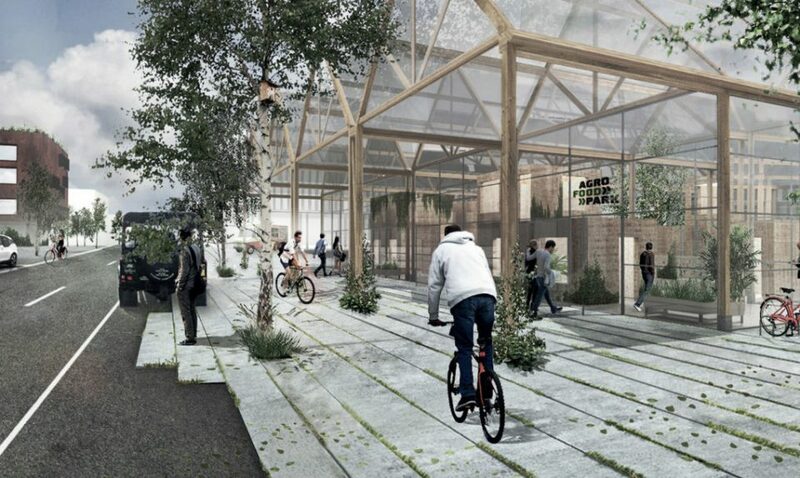 The huge complex is also designed to recycle its own waste efficiently and minimize its footprint, a “practice what you preach” approach to ecological urban agriculture. Though the plan is complex, the mission of the place is simple: to feed the world in a healthy way. The expressions of that mission, however, vary greatly, from initiatives to use clean energy and create biodiversity to facilitating healthy air and clean water. 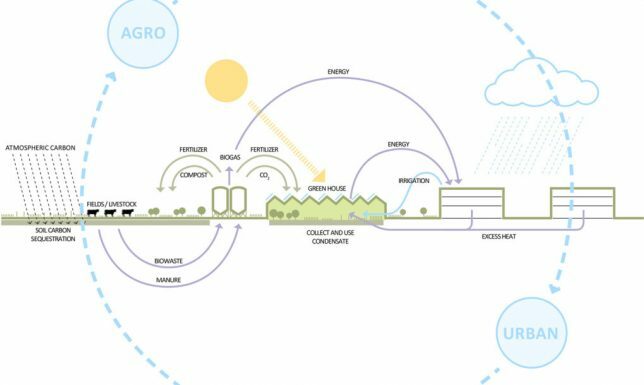 In short: it is not just about good food, but how best to produce edible goods in a sustainable way. 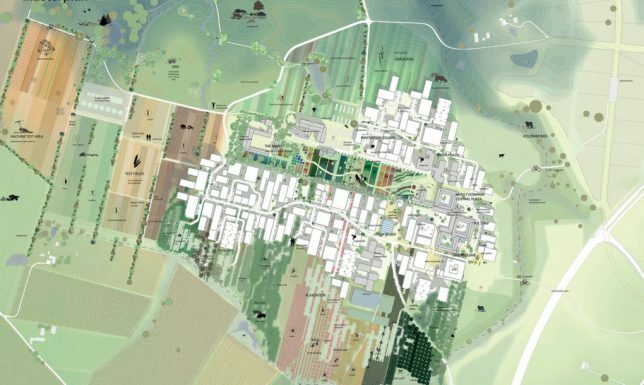 “Embracing Agro-Urban Ecosystem Design, the AFP treats urban and agricultural development together as a unified, productive and restorative ecosystem,” said the project architects.